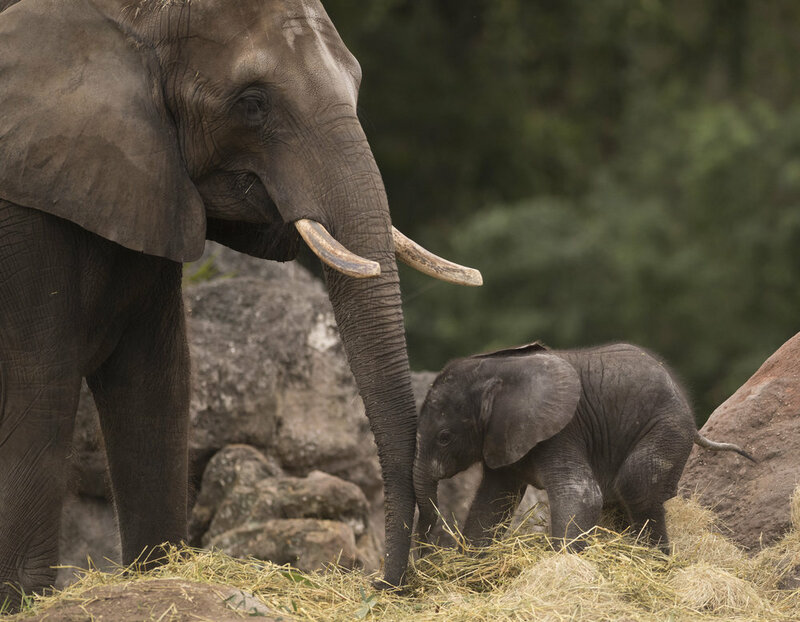 Disney's Animal Kingdom – the largest theme park in the world – is undergoing a transformation. The long-awaited Rivers of Light extravaganza has finally debuted. And Disney recently confirmed that Pandora: The World of Avatar will open at the park in May 2017 (six years after it was first announced!) as part of the largest expansion in Animal Kingdom's history. Besides these new attractions, there’s 7 other experiences not to be missed! Kilimanjaro Safaris is the rare ride that appeals to everyone, regardless of age. I have been lucky enough to go on a week-long safari in Africa, and still I was blown away by Disney’s version of the experience! When you enter the safari jeep, you look up at a guide of more than 60 animals that you may see on your journey. The next 22 minutes are filled with “oohs” and “aahs” as the jeep winds its way through a preserve that rivals the landscape of East Africa. Lions, elephants, hippos, giraffes – they all go about their business as the jeep driver provides commentary laced with humor. While we enjoyed many aspects of Animal Kingdom, this ride alone made the park worth visiting. 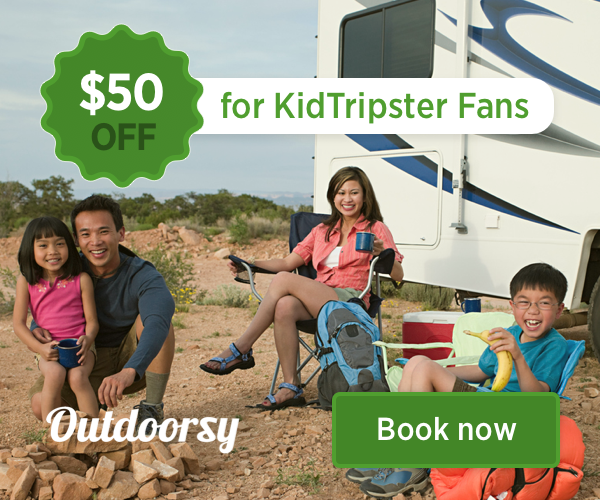 KidTripster Tip: Plan to make the safari one of your first stops before the line starts to build. While you may want to consider using your Fastpass+ here during peak times, know that the line does move quickly, as safari jeeps depart every few minutes with up to 36 people on board. KidTripster Tip: You even can do the Kilimanjaro Safaris at night for an entirely different experience. While I found the safari to be the most memorable experience, Expedition Everest was my 7-year-old daughter’s favorite ride. Hands down! The park’s main roller coaster brings you face-to-face with a Yeti, or Abominable Snowman, the subject of folklore legend in the Himalayas. The ride around and through the mountain provides enough thrills (it even goes backwards for one stretch) to entertain all ages, without being too scary for little ones who just meet the 44-inch minimum height requirement. With a price tag of $100 million, the ride made the Guinness Book of World Records for being the most expensive roller coaster ever built! KidTripster Tip: Make sure you also head to this ride early in the day as the line gets long. This ride is also a great choice for using your Fastpass+ on busy days. While Animal Kingdom may be light on traditional rides, it arguably features the two best live shows at Walt Disney World, starting with Festival of the Lion King. From large parade floats to acrobats and performers in colorful tribal costumes, there is non-stop action and fun in all directions. The show is a favorite for all ages, and there’s more than enough entertainment to keep even small children mesmerized for the full 30 minutes. The production is definitely one of the park’s biggest treats. KidTripster Tip: While there is a Fastpass+ option, you shouldn’t need to use it here given the size of the theater, unless you want to increase the chances of your child getting pulled from the audience by a cast member to take part in the show. Only a few lucky ones sitting in the first few rows get that opportunity. Everyone’s favorite fish is the subject of Animal Kingdom’s other popular live production, which is geared even more toward small children than Festival of the Lion King. The performance is a condensed musical version of the movie that features puppetry to bring the characters to life. The show is another park highlight, but if you’re only in the mood for one large-scale production, Festival of the Lion King gets my vote. KidTripster Tip: You should have no trouble getting into the show even at the last minute, so I wouldn’t recommend burning a Fastpass+ here, even though it’s available for priority seating. This walking trail was our favorite for two reasons: hippos and gorillas. While you’ll likely also see hippos on the Kilimanjaro Safari, the trail brings you up close to see them in their natural habitat. The trail takes roughly 15 minutes to get to the best part – the gorillas. My young daughter was in awe of watching a baby gorilla just a few feet away on the other side of the glass, playing around in a pail before running off to get a hug from mom. KidTripster Tip: Animal Kingdom also features the Maharajah Jungle Trek, which is also worth a stroll and is home to tigers. 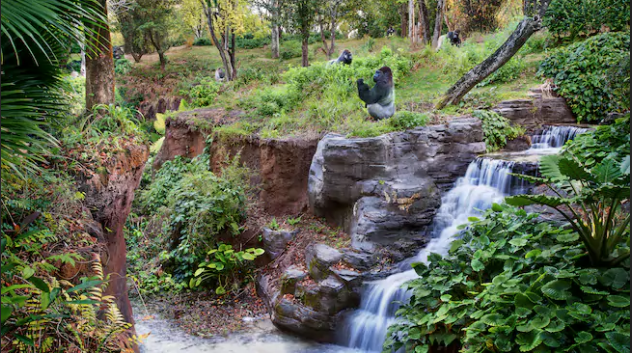 But of the two trails, Gorilla Falls gets the nod. This program is one of Animal Kingdom’s best-kept secrets! It’s basically an interactive scavenger hunt throughout the park that combines fun and education as kids learn about animals, conservation, and cultures. The program is free and open to all ages, but it’ll resonate most with kids between 7 and 12 years old. After picking up a guide to start, kids earn sticker badges by completing hands-on challenges with Team Leaders scattered around the park - from finding out why flamingoes are pink to learning to play an African drum pattern. While each station takes just a few minutes to earn your sticker, there are 31 challenges in all, so most kids will need more than one day at the park to complete it. My daughter earned eight stickers, as we kept our eye out for Explorer stations throughout the day without making a concerted push to seek them out. Yes, your child can get his or her face painted at any garden-variety birthday party or carnival. But face painting at Animal Kingdom is an art! Really! Look for the kiosks throughout the park. Trust me, those photos will be the favorite of your trip. Katy Brown Troftgruben was bitten by the travel bug in college during a three-month journey around the world on the Semester at Sea program. The trip also inspired a 20-year career in broadcast journalism. She loves living in Oregon but looks for every opportunity to explore new territory with her husband and their 7-year-old daughter.